Even though the fig trees have no blossoms, and there are no grapes on the vines; even though the olive crop fails, and the fields lie empty and barren; even though the flocks die in the fields, and the cattle barns are empty, yet I will rejoice in the Lord! I will be joyful in the God of my salvation! The Sovereign Lord is my strength! He makes me as surefooted as a deer, able to tread upon the heights. 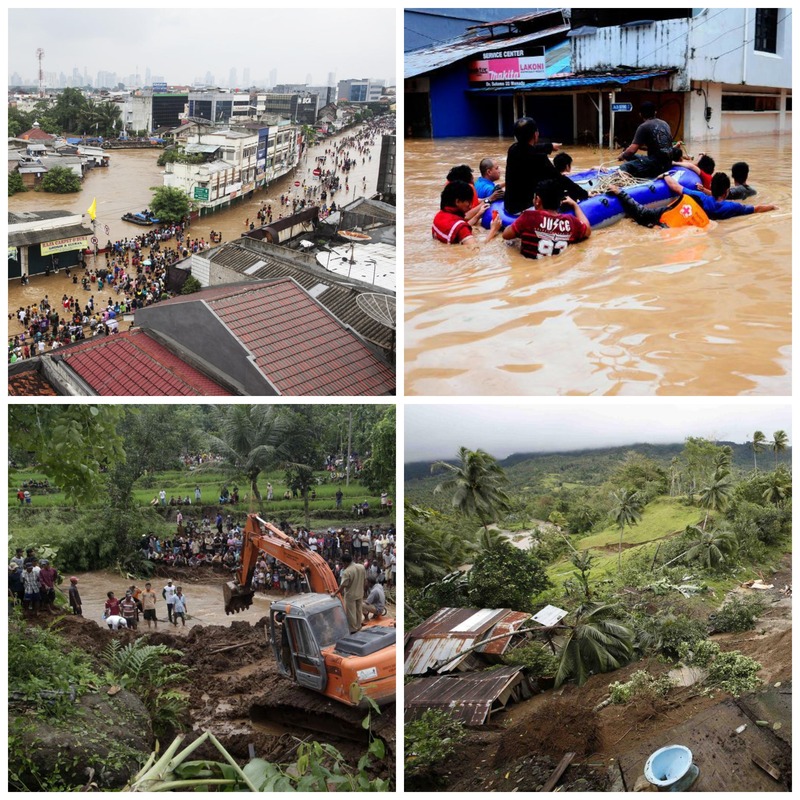 Catastrophic flooding in Manado, North Sulawesi on January 15, 2014 has left many Christians in the area with out Bibles. One of the news reported at least 13 people got killed and thousands left with no homes. It was so devastated. I saw lots of pictures sent to me from my family and relatives that truly made me so sad. PLEASE BE PRAYING for them as they recovering from the flood, they need a lot of helps and prayers. Ask God to send more helps for them. And ask God to strengthen them and give the families who lost their loved ones peace and knowing that God is faithful. My husband and I were thinking what can we to help from here beside prayer. I am making cards for a while and thinking that I can raise some money by selling these cards for donations to help the believers there replace their copies of God’s Word. An Indonesian Bible costs only $6 – $8. All donations will be sent to Bible Translation Center in Manado and they will distribute the Bibles to the people. Please visit my Album Here to see the card sets I am selling for this fund raising and you also can visit my Etsy Shop to buy cards. THANK YOU so much for all your prayers and supports for the people of Manado! I truly appreciate it and thank God for you!